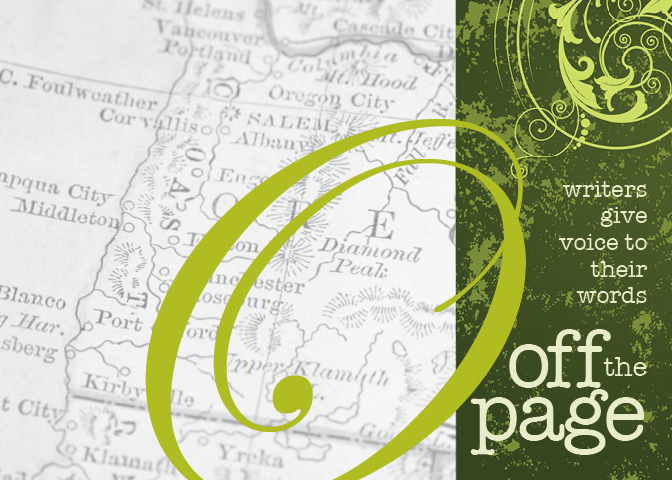 Join us for Off the Page — an evening of fiction, poetry, memoir & song — on Saturday, April 13 at 7pm on the central coast of Oregon, in the village of Yachats. Festivities take place at the Overleaf Lodge Event Center. Doors open and music starts at 6:30pm. The reading begins at 7pm. Admission is free and open to all ages. Enjoy the 7th annual celebration of fiction, poetry, memoir & song. An ensemble of Oregon writers — hailing from Siletz, Newport, South Beach, Waldport and Yachats — will share their work. Featured writers include: Scott T. Starbuck, Khloella Brateng, Theresa Wisner, Hallie Price, Drew Myron & youth from Seashore Family Literacy — with music by Richard Sharpless. Free words, free expression, free admission.